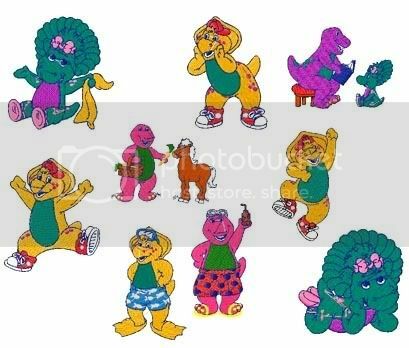 This is a Gorgeous collection of 35 BARNEY Machine Embroidery Designs on CD. This collection includes 35 Designs. All designs fit the 4x4 hoop. Some of the designs included on the CD are Pictured. You must have the necessary hardware and software to transfer these designs to your embroidery machine. Shipping for this Item is only $1.99 within USA.